The Last Ten Minutes II is a video installation by Antoni Muntadas for Documenta 6 at Kassel, an event focusing on the role of art in the mass-media society. It presents, on three separate monitors, the last ten minutes of TV programming in three cities in three different countries (Washington, Moscow and Kassel) to highlight how much the media have in common in any country in the world: presentation of the latest news, the stereotypical presenter and so on. The retransmission is followed by shots of streets and people in each of the cities, taken by the artist. The two scenes illustrate the contrast between the human and cultural diversity in each environment, and the banal television broadcasts, presented to us as a homogenising space, a “non-place” where the image becomes a deterritorialized sign. Muntadas is stressing the role of the out-of-context TV image in order to confront the specific reality of each place with the construction of a shared media landscape. 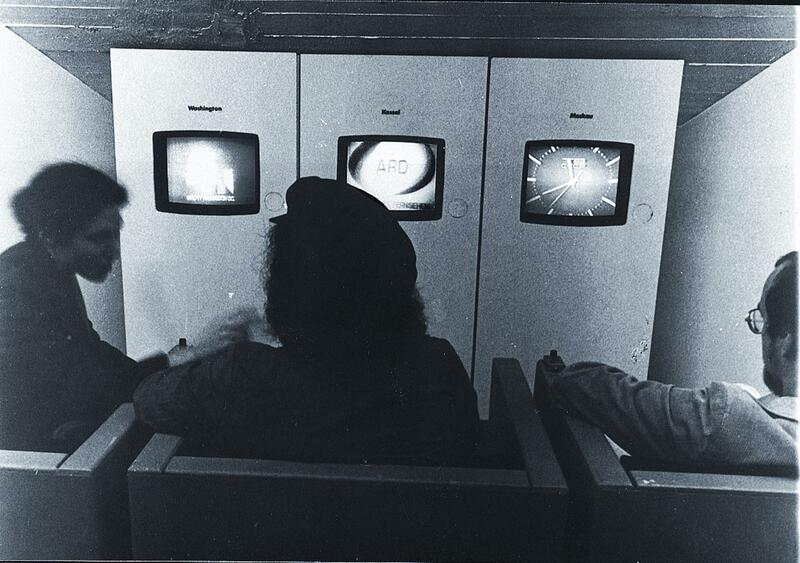 Muntadas uses video as a critical language; a space for reflection on the transnational circulation of information and mediated reality, in dialogue with geopolitical specificity.